KidScents Essential Oil Collection for Children designed specifically for children's most common issues. 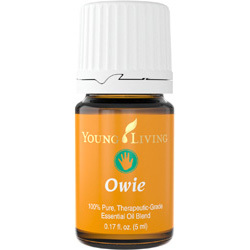 Contains SIX therapeutic grade essential oils of 5 ml each designed to support the needs of children. These oils are gentle and are pre-diluted for easy and convenient use. Although the oils are for children, they may be used for transformational work especially when dealing with memories and negative emotions rooted in childhood. Animals also connect easily to these oils because of their soft and gentle energy. Want to Purchase KidScents Essential Oil Collection for Children? Go to the Oil Shop! Buy KidScents Oil Collection Here! What is in the KidScents Essential Oil Collection for Children? The collection is temporarily not available for sale at this time. The individual oils are available for sale at The Oil Shop. Do you want more Information about the Individual Oil? What are the Documented Uses for KidScents Essential Oil Collection for Children? With KidScents Oil Collection, parents and caregivers can effectively and safely navigate and support children through childhood to become happy and healthy adults. Please also refer to the individual oils. What is the Aromatic Effect on the Mind? Please refer to the links for the individual oils. What is the Spiritual and Emotional Influence? Please refer to the links for the individual oils. Although these oils are for kids, I have found them extremely helpful in releasing childhood traumas and belief systems as I have worked with clients. What Chakra is Affected? Please refer to the links for the individual oils. Please also refer to the links for the individual oils. Can this oil be used for Animals? Please refer to the links for the individual oils. Note about Animals: Certain oils can be very toxic to cats. Citrus products and oils in particular. Please consult your vet if you are not sure about applying any essential oil to your pet. What are the Safety Precautions? Please refer to the links for the individual oils.